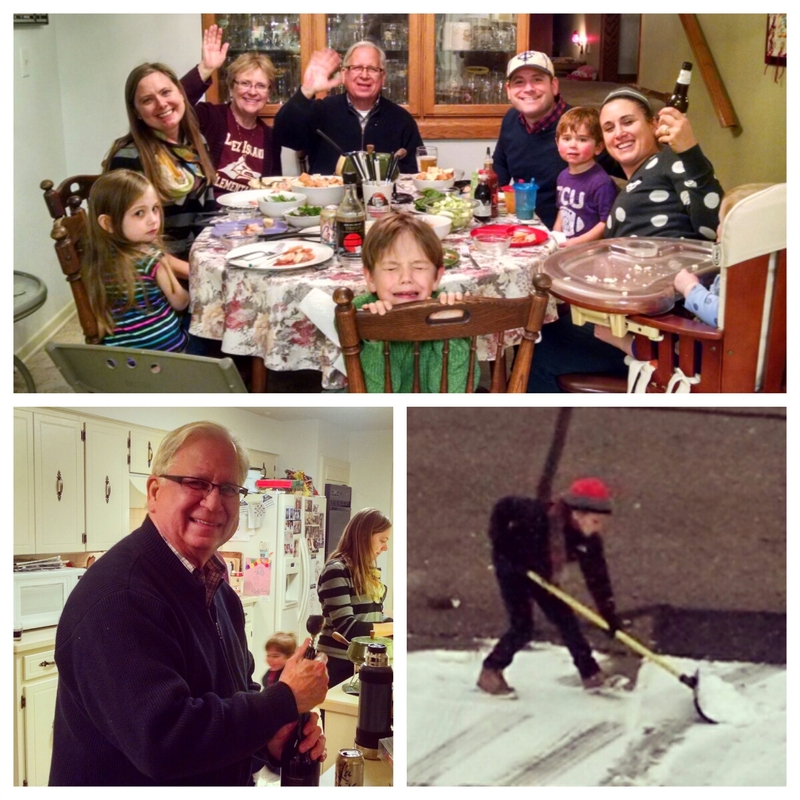 The Fry Family Quartet spent Christmas in Omaha, Nebraska this year. It’s been so nice to spend the holidays at Jim and Mary Kay’s house. 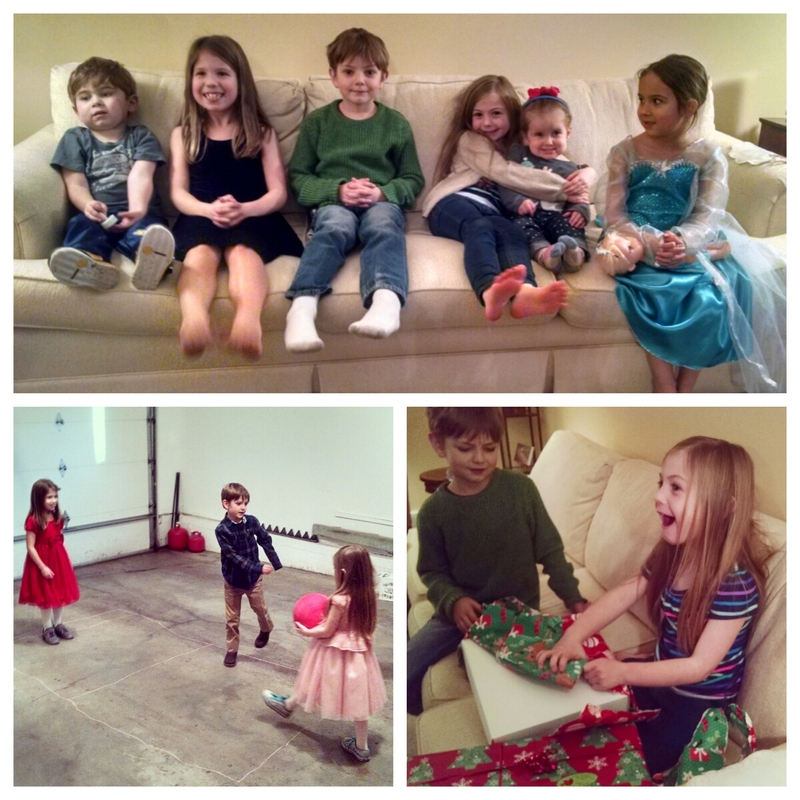 With all their cousins under one roof, Henry and Ruby have been in kid heaven. 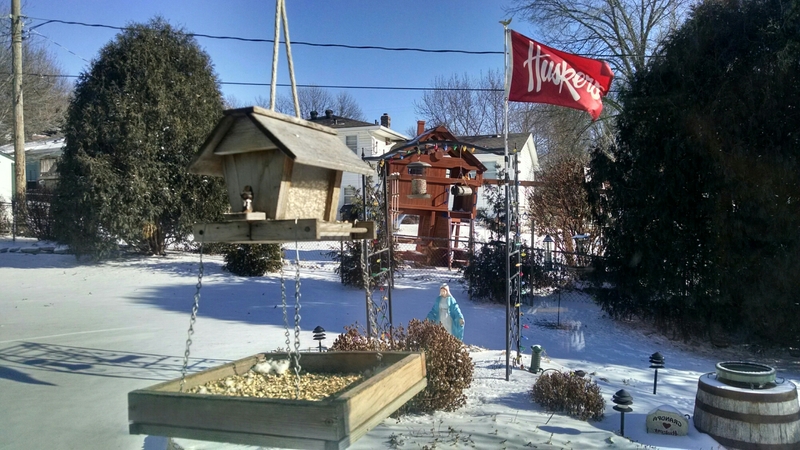 We’ll have even more family gathered today, as we expect many Cornhuskers to stop by to watch Nebraska take on USC in the Holiday Bowl. Go Big Red. 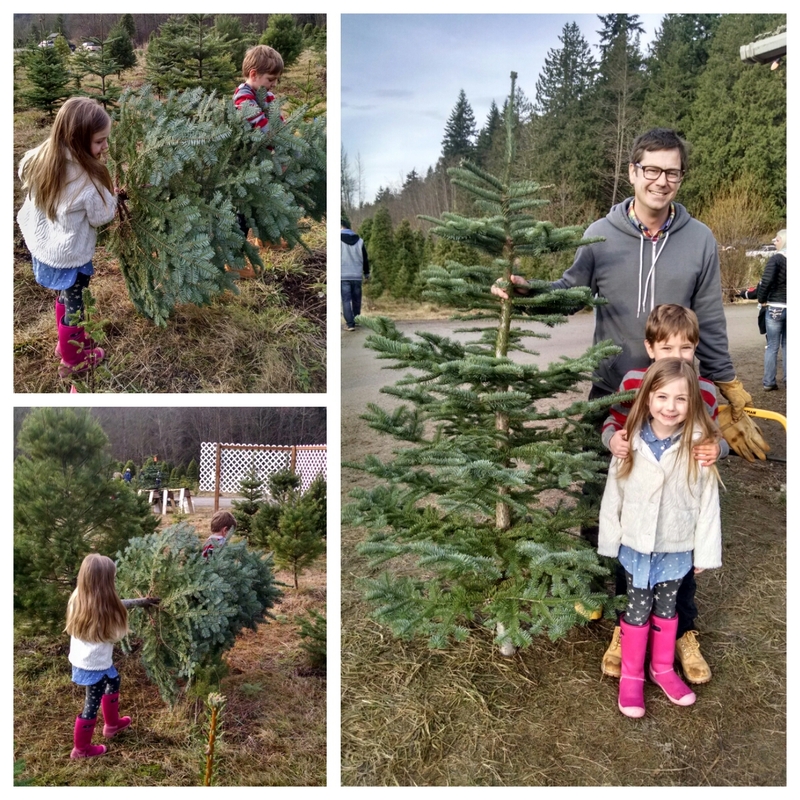 Being back in the Pacific Northwest for the holidays means we can bring back our tradition of cutting down our own Christmas tree. Not that there’s necessarily anything dreadfully wrong with getting one’s tree on a sidewalk outside of one’s big city apartment. This year, we traveled to Big Lake Trees outside of Mt Vernon. 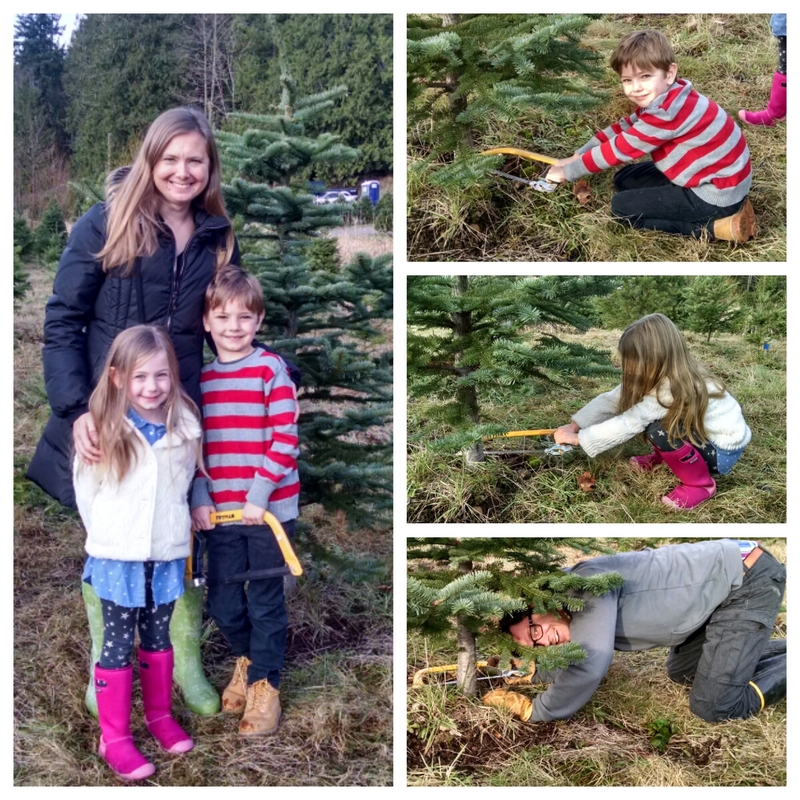 We of course cut down a noble fir (some traditions never change). But now we’re able to add a twist: every member of the Fry Family Quartet is finally old enough to take a turn with the Fryman saw. Big Lake is nice – lots of different types of trees and very friendly people. We found out that Big Lake Trees was started in 1974 by Bob Winlkeman, who grew up on a farm in Nebraska! Now we have to go back next year. 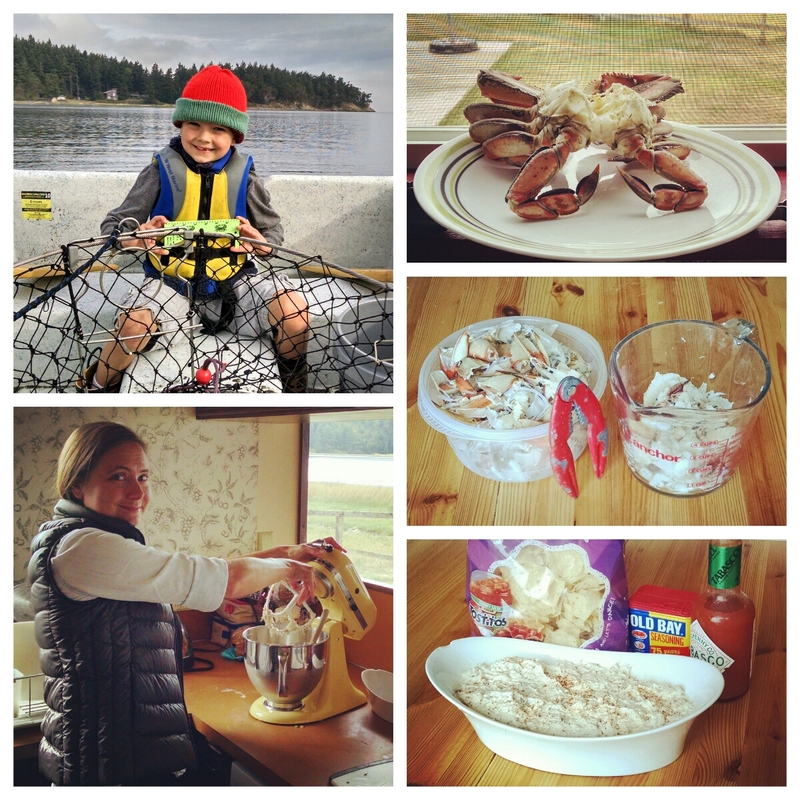 Crab caught at 9am. Crab dip ready for the 2nd quarter of the Nebraska game. * Go Big Red! * The Cornhuskers ended up winning their season opener against FAU 55-7. With Jim and Mary Kay in town, we traveled to Brooklyn on the day after Thanksgiving for a Husker party. Too bad the Cornhuskers didn’t show up. 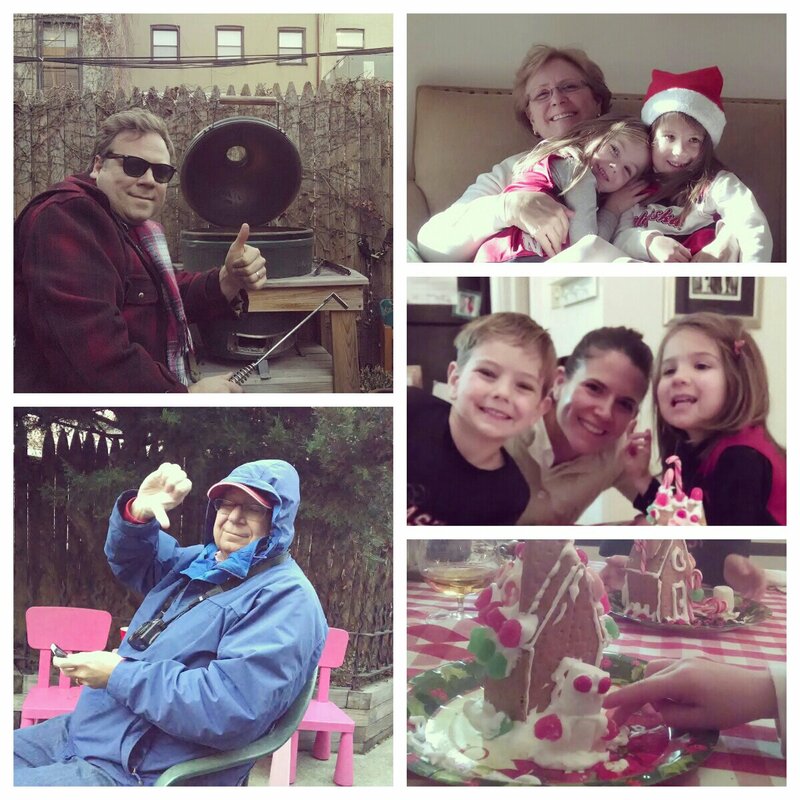 We still had a great day, complete with backyard grill time and ginger bread house construction. 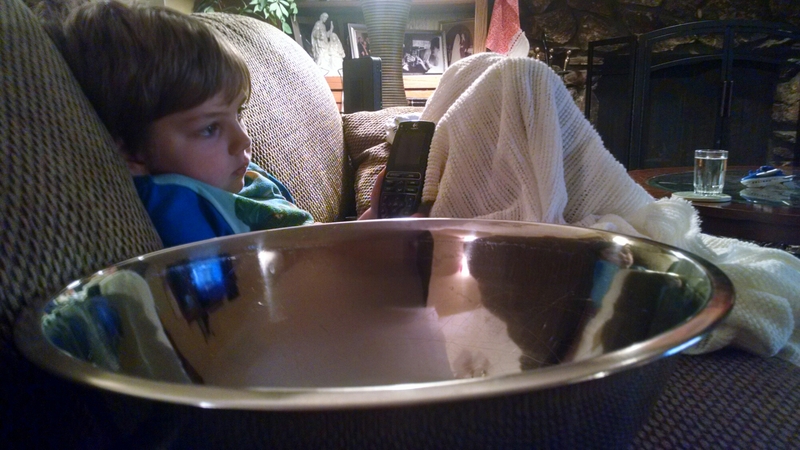 The cousins have gotten a healthy dose of each other’s company. Go Big Red. I got a hall pass this weekend to do a road trip with Brian, Paul and Jonathan to see the Huskers play Penn State in Beaver Stadium, the 2nd largest stadium in North America (and 3rd largest in the world). 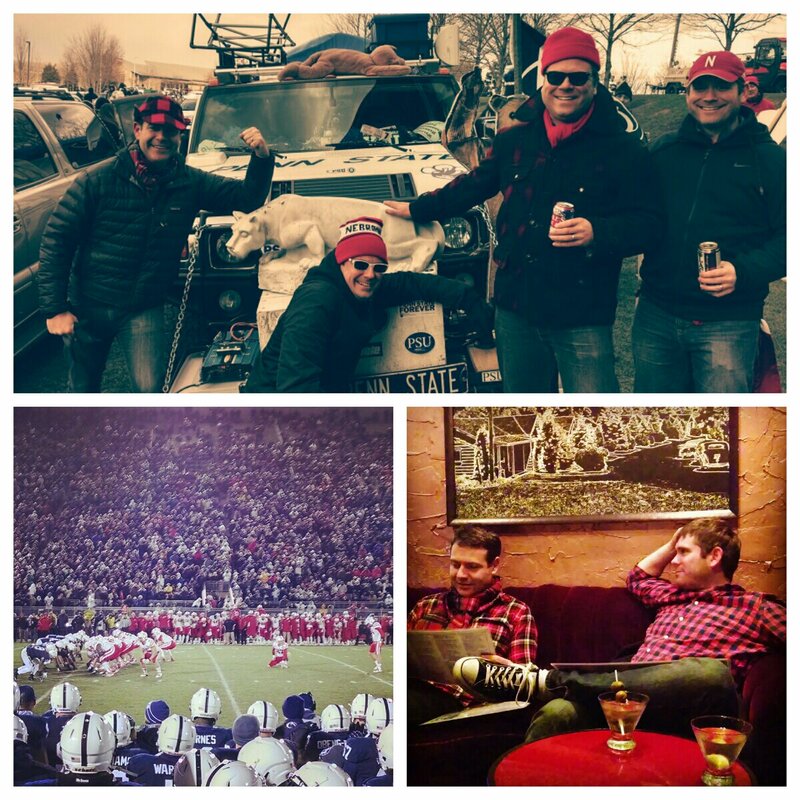 It was a perfect day for football: snow flurries, freezing temperatures, good friends, and a Husker win in overtime. Thanks for the hall pass, Kristine. Good to be home.